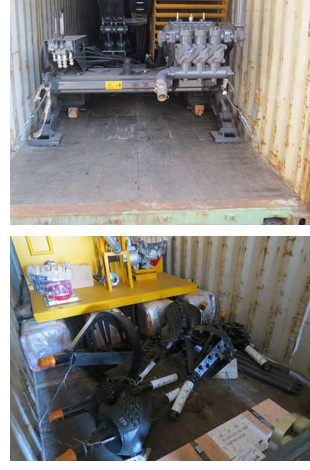 FOTMA exported an XCMG XZ320D horizontal directional drill rig to an old Africa company.This customer has purchased seveal horizontal directional drill rigs from FOTMA already.He purchased an XZ680A,an XZ450,an XZ400A from FOTMA.He is a very professional telecome contactor in his country.In 2015,he purchased a drillto horizontal directional drill rig and an XCMG horizontal directional drill rig.After comparing,he prefer XCMG horizontal directional drill rig because XCMG horizontal directional drill rig's supior performance.Though the price of XCMG horizontal directional drill rig is higher than Drillto,but efficient performance and low failure rate is also profit.With FOTMA's professional technical support,he can solve any small technical issue in very short time,so he has very good feeling with XCMG horizontal directional drill rig. 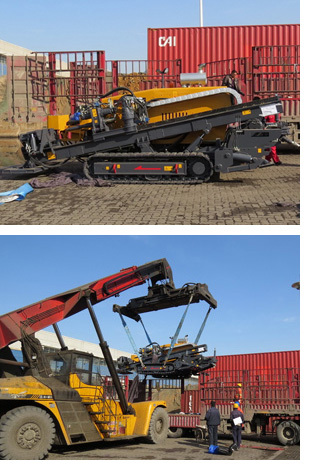 In this order,he purchased an standard XZ320D horizontal directional drill rig with Dongfeng Cummins engine.Together with main machine,he also purchased integral drill pipe with size 73mmx3meter,100 pcs.This type of drill pipe can also be used in VERMEER horizontal directional drill rig and FOTMA will supply a connection switch to him. He also purchased eagle claw(trihawk) drill head(thread FS1 #900),swivel(35ton),connection of CERMEER pipe and XCMG rods.Fly cut type back reamers sizes from Φ300mm,Φ500mm,Φ700mm with thread FS1#900) and fluted sytle back reamers sizes from Φ300mm,Φ450mm,Φ600mm with Pin-Box FS1#900).He also purchased mud mixing system volume 5 cbm.